How can K-12 educators break down the barriers to full inclusion and teach all learners effectively? Curriculum modifications are the key—and Nicole Eredics is the expert! 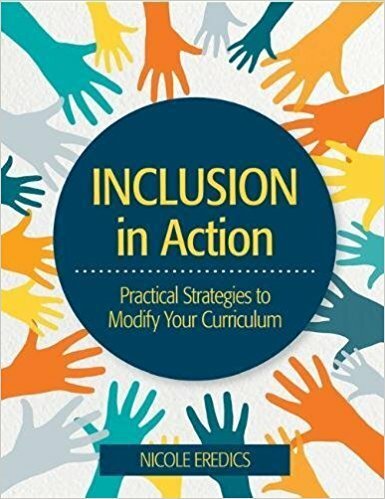 A seasoned educator and creator of popular blog The Inclusive Class, Eredics introduces you to the what and how of inclusion in this motivating, reader-friendly guidebook. You'll start with a big-picture guide to creating an inclusive culture in your classroom and school, with invaluable guidance on key topics like team collaboration, universal design for learning, co-teaching, social-emotional supports, and accommodations. Then you'll get 40 specific, teacher-tested strategies to modify your curriculum for students who work below grade level. Ready to use in your classroom right away, each strategy comes with student goals, simple step-by-step directions and implementation tips, suggested interventions and extensions, and samples of authentic student work that illustrate the strategy in action. Equally useful as a beginner's guide to inclusion and a goldmine of practical ideas for experienced teachers, this must-have book will help make your curriculum "possible and achievable" for every learner, with and without disabilities. • Learn to recognize and correct errors• and more!